I started Art Journalling in July, bought all the products, a couple of nice journals, inks, paints, lots of downloads from Art from the Heart and did just a couple of pages! Now I have joined this fabulous year long class with Stephanie Ackerman (with our very own FB group) for 2012, I am determined to make more use of my journals and stash! Hope you like it, leave me a comment and let me know what you think. I saw this picture on the lovely Stephanie Ackerman's blog last week and decided to do just that! Today I resigned from Stampin' Up, I've not resigned for any other reason than just to do more of what makes me happy and to reduce the levels of stress I've been feeling trying to continue with my Stampin' Up business. 2012 for me will be for myself and my family, I'm going to do more of what makes all of us here happy and who knows I might even share some of those things and times with you all on this blog. I intend to do more crafting for me using a variety of products that I've collected over the years, rather than make projects because I felt I ought to because I was a Stampin' Up demonstrator! So for now happy crafting to you all and I wish all my readers a very happy and crafty 2012! I have spent the day today working on this mini wedding album and am really pleased with how it turned out. I had been putting it off, mainly because I thought it was going to be more difficult and of course, because I've had so much to do, like we all have this time of year. Just thought I'd post you some cards I've just made. Now I have allowed myself some freedom to use what I like for a while, giving me a chance to use up stash I've had for ages, rather than panicing about using stash I have to/ought to, I made these beautiful cards this morning. I was going to write some cards today, not make any......but then I opened Facebook and found my lovely FB friend Stephanie Ackerman had put out this freebie on her blog and I just had to play! You are probably not aware but I've been doing some of Stephanie's classes and enjoyed every moment. I have signed up for many classes over this last year by all sorts of different artists, of which many of them I only pay and watch but with Stephanie's classes I have actually joined in and played along. So the future for me is uncertain at the moment, with the decisions I have to make bearing in mind the time it looks like I'm going to have to set aside to care for my daughter next year, I can tell you all one thing I will be doing and that is this class with Stephanie. So if any of you "my ladies" want to sign up for this class that is going to run for a whole year, I will be happy to work along side you when I can. I can tell you all this sick leave is doing me the world of good, I made 20 Christmas cards yesterday and made these little bags and a couple of boxes this morning.....life is tough - lol !!! The bags were cut out with my Silouette - it really is the best! Just a quick post today to introduce you all to Ginger. This is the stamp Stephanie Ackerman designed which I purchased from Purple Onion. I chose happy looking bats as they are only little! The treat boxes were made using my Stampin' Up Pillow Box die, the Square Lattice & Perfect Polka Dots embossing folders, the circle was cut from Peach Parfait card stock using the Stampin' Up Circles #2 die and the happy little bats were download and cut with my Silhouette. Have a happy day and thanks for popping in to see my blog today. I've had such a lovely weekend. Usually I am either working/teaching or we have visitors, usually the girls with their boyfriends. Nobody ever mentioned that when they grew up our weekends might mean lots of fun, but also lots of cleaning and shopping before and then lots of cooking whilst they are all here (girls need clothes and boys need food and plenty of it! ), followed by extra washing and ironing when they've gone back. I alway love having them home though, playing mother hen has always been right up my street and I do feel a huge amount of sadness when they leave. Anyway, this weekend, I have played and played, both girls are happy where they are and I have no work commitments really pressing and as part of my on-going therepy, I've allowed myself to play! I started a new on-line class last week and have spent lots of time making some lovely projects, which you will be able to see if you attend my crop on 19th November. Today though, I spent time scrapbooking, David and I searched our loft yesterday morning looking for photos and we found a huge amount of them, photo's I'd forgotten we had. I've only opened a couple of packets so far and when I found these photos, I knew I'd have to scrapbook them! Normally if I'm scrapbooking I use very little product and spend very little time, but now I have given myself time, I thought I'd use both......time and lots of product. We so often buy product and save it, we shouldn't save it we should definitely use it whilst we love it and whilst it's new! This album page is made using one of the new scrapbooking kits from Stampin' Up that I bought this month, it's called Country Club. Since I was little, green has been one of my favourite colours and in Country Club, Stampin' Up are using my favourite shade - Pear Pizzazz. I teamed the Country Club Simply Scrappin' kit with Pear Pizzazz DSP and buttons from the Stampin' Up Regals collection. I also used the Stampin' Up Sizzix Timelesss Type Junior Alphabet Sizzlits Dies for some of the letters and numbers. I made the rosette using Pear Pizzazz Seam Binding Ribbon and Stampin' Up's Linen Thread to tie a little knot in the buttons. The word "Celebrating" and the little horseshoe are die cut from my Silhouette. Happy crafting and looking forward to sharing more at my crop on 19th November.... email me to book your space. Thanks for looking at my blog today. I'm back, I needed to craft to help with my stress levels! Sarah, my daughter, was lept on, on Saturday night in Oxford and her foot has been pretty severely injured. The doctors (she has two, private ones, these days....she is so lucky and I'm so grateful to them!) saw her and sent her for x-rays and now we are waiting to see what the consultant has to say about the damage. As I started making them, a request came in via our Pink Ladies Facebook group for samples of cards to be used at the NEC next week, so with no further ado and whilst everything was out I made two of each! I hope you get to see them at the NEC if you are going. I have used four of the new In Colours, Wisteria Wonder, Calypso Coral, Pool Party and Island Indigo. I stamped on Whisper White using one of the new hostess sets, Simply Soft, This is a two step stamping set so my Stamp-a-ma-jig came in handy too. I have used my Fiskars trimmer to double emboss the edges of the Whisper White mat. I'm feeling so much better and calmer after crafting today. Happy crafting and thanks for popping by my blog today. After a hectic weekend pretending to be the most perfect mother, I decided to take a break from my kitchen sink duties yesterday and got back to some "real work"! I know I'm supposed to be resting but......a girl has to have some fun and fun I did have making this little gem of a mini album. I absolutely love it. I chose some pictures of the Tim Holtz event I went to in February and printed them off on my new mini Canon Selphy photo printer - it is so cute! To make the mini album, I used one of my very favourite colours River Rock from Stampin' Up along with Marina Mist and Soft Suede. The papers are from the new 2011-2012 Stampin' Up catalogue and are called Beau Chateau. I will be teaching my ladies how to make this mini at my Chilton Crop on Saturday 19th November.....you have to be there or you will miss it! Email me to reserve you a place. Happy crafting and thanks for visiting my blog today. I know, I know, I Know......it's been ages! I am giving myself a couple of months off my regular classes in order to try and catch up with things that have been left and neglected, as well as give myself some time to try and rest my weary arms and shoulders! I used Stampin' Up cardstock in Sahara Sand and Stampin' Up Bravo Burgandy ink to sponge through the stencil I made using my new Silhouette, which I absolutely love. I also used the Silhouette to cut out the word on the front, using Black Stampin' Up cardstock. I used Stampin' Up's Dazzling Diamonds to highlight each balloon. What a lovely surprise I had this morning, one of my lovely ladies, Simone, lent me some of her scrapbook albums over the weekend and popped round to collect them, bringing with her a card and some beautiful cupcakes that her daughters had made for me. Take a look, how lucky am I? I love being a Stampin' Up demonstrator, you can meet the nicest of people and some of the nicest families, I feel very lucky! Thank you Simone', Giovanna & Alissia, you are all very special. I woke with thoughts of my daughter Kim today, she is 22 today - HAPPY BIRTHDAY KIM, if you are looking for your birthday card, check your emails!!!! .......... and if you were home you could enjoy one of the above yummy looking cakes! I will post the card I made for Kim on here later ........... it contains a sneak peek! Gosh I'm back again, I haven't blogged this much ever! Well I just wanted to link you to my new friends blogs, firstly Debbie, who came over to craft with me this afternoon. We made the card that she has put on her blog so check that out. You will recognise my current favourite style and my toilet paper butterflies! And Sharon, who I met at the weekend at the Newbury craft show. I am hoping to see her again at my next Charney Bassett meeting. It was great to look at your blogs ladies, you both seem much better at blogging than me - its just taken me an hour or so to do the links on mine !!! lol. Happy crafting and blog hopping. I am back again second blog post this week, I hope you are enjoying my posts! If you are, please leave me a comment and let me know. I have heard now that the team of independent Stampin' Up demonstrators on the stand at the ArtStamps show in Newbury talked to more than 300 ladies - wow! No wonder I'm exhausted and a little "hoarse". Apparently not many ladies though from the Abingdon/Oxford area, where were you? Oh well, I have sent out mini catalogues and hand made cards to the ladies who visited the stand from my area, I hope you enjoy leafing through the Mini and whilst looking at the card, it brings back happy memories of a lovely day (at the races!) at the craft show. All items used to make this card are by Stampin' Up and mostly from the Mini catalogue. I had a fab day at Newbury craft show yesterday chatting to lots of ladies about Stampin' Up. I gave out a few of my toilet paper butterflies and thought I'd post a card I made using one. The beautiful butterfly was made using two sheets of Andrex toilet tissue folded to make four layers, which I spritzed with water and re-inkers (So Saffron, Rose Red & Pumkin Pie) and whilst still wet I put them, into the Elegant Bouqet embossing folder and ran it through my Big Shot. After leaving them to dry I die cut them using the Beautiful Butterflies exclusive die for Stampin' Up from Sizzix. All the above products are available from me, please email me with your order. Just a quick post from me to remind you all that I will be on the Stampin' Up stand at Newbury this Saturday. Please come and say hello. I love the way that Stampin' Up co-ordinates everything across their whole range. Here are a couple of cards I've made using Lap of Luxury. They are cards that I did have to spend a little more time on, but I am really pleased with how they turned out. It has been such a lovely morning here with the sun shining, so I decided to take the photos outdoors. I just wish I could have cropped the photos........note to self.....learn how too!!! Another month passes me by! It really doesn't seem a month since I last posted, I don't know where the time goes! Oh well.....I am sure you are far more interested in seeing a few projects I've made, rather than hear my pile of excuses, so here goes...........enjoy! I love this stamp set, it has to be one of my favourites of all time - Nature Walk by Stampin' Up. 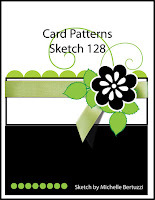 I made a pleated style card, using the Designer Paper that matches the stamp set Botanical Gazette. On this Sympathy card I used the Scallop Trim Border Punch, together with our new Stampin Up Decorative Label Punch and Perfect Polka Dots Embossing Folder. We were invited to a wedding earlier this month and this was the card I made to use as our reply. I've used the Top Note Die from Stampin' Up, together with the So Many Thanks stamp and embellished with Basic Pearls and Kraft Taffeta ribbon by Stampin' Up. I loved making this card fom my dear friend who recently turned 21. I used the stamp set Party This Way, Scallop Trim Border Punch, Extra Large Scallop Oval Punch, Large Oval Punch and on the front I used part of the Top Note Die, Fun Flowers Bigz L Die, Word Window Punch and Modern Label Punch. The paper is from the Nursery Suite Speciality DP from Stampin' Up. I actually had a bit of fun creating this album page today. Whilst surfing the net, as you do ;) I caught this layout and had to give it a try. The base card of this 12 x 12 album page is Stampin' Up Crumb Cake and I've used Stampin' Up Designer Paper from the Regals Stack. I've used Stampin' Up Chip Board Alphabet and Stampin' Up Punches for the embellishments. I splattered the whole page (covering the photos for a minute) with white acrylic paint to finish it off. I made lots of these cards for a Pink Ladies team swap to swap at a reward day I went on. I used the Flower Daisies Die and the Beautiful Wings Emosslits Die. The Stamped sentiment came from a very useful set, in my opinion, Perfect Punches by Stampin' Up and I used the perfect punch to go with it Extra Large Oval. The ribbon is the Stampin' Up 1-1/4" Striped Grossgrain in Early Espresso. Wow, what a post, hope you found it worth waiting for! Email me if you would like any more details of supplies or stamping classes and scrapbooking crops in Oxfordshire. Most of the supplies are from the Stampin' Up 2010 - 2011 Idea book and catalogue, or the Stampin' up Mini catalogue 1st April - 30th September 2011. I'll order your products and have them delivered directly to you or you can pick them up from me. I accept PAYPAL these days, so email me with those orders. I will be giving away lots of bits and bobs as treats for all orders placed in June :) ! Have a great June and happy crafting.